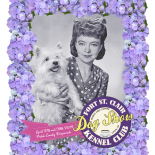 Fort St. Clair Kennel Club was organized in 1988 and incorporated in 1992. We are an AKC licensed club permitted to conduct events under AKC rules and regulations. Our members share a common interest in promoting the beauty and versatility of purebred dogs. We conduct an AKC show weekend each spring and an AKC Sanctioned Match each fall. We can provide referral services for those looking for a purebred puppy. Many of our members rescue dogs of their breeds that enter shelters or need a new home for other reasons. Fort St. Clair Kennel Club conducts classes in Conformation training for puppies and adults, and we are exploring the possibility of expanding our classes to include beginning obedience and rally. Fort St. Clair members are also dedicated to helping the local community. We support the Preble County Humane Society, and some local rescue groups. Additionally, we’ve donated to the Lions club pilot dog program; and provided pet oxygen masks to two local fire departments. The Fort St. Clair Kennel Club meets on the second Wednesday of each month. Generally, we meet at the KFC Restaurant, 1200 N. Barron St., Eaton, OH. at 7 p.m. Guests are welcome! We have a picnic in August and a holiday dinner in December, and for those meetings we gather elsewhere. Training classes are open to the public for a small, per class, fee. Our annual two-day all-breed show is the last weekend in April. Our annual sanctioned Match is usually the first or second weekend in October. The officers of our club form the board. All of our meetings are general meetings and the public is welcome. We do not have separate board meetings. My Mother, Virginia Curtner helped start the club and she just wanted to know if it was still up and running….so glad to be able to tell her that it is. She just turned 90 on April 4th. Happy Birthday to Virginia! She’ll probably be glad to know that a number of the original members are still with us– Sally Barton, Cindy Benson, Sandy Combs, Deanna Seitner. The club is thriving and our show is growing each year. Tell your mother hello and best wishes from all of us at her old Kennel Club. Thank you so much….she’ll be so happy to hear that. Just want you to know that Mom(Virginia Curtner)passed away Dec. 26th at age 91. She was so very proud of the organization…..and mentioned many friends. We don’t check this page often enough! Thank you for letting us know of your Mom’s passing and our condolences on your sad loss. No matter what our age, losing one’s Mom is always tough. I hope we will always continue to have a dog club that would make your mother proud.